Recently, Weekly On Stocks released comprehensive strength rankings of listed real estate companies in 2018. 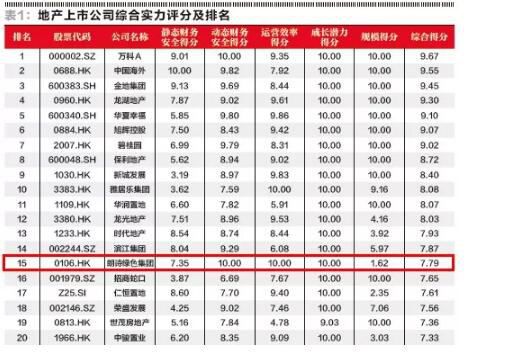 As the only publication designated by the China Securities Regulatory Commission to disclose information about listed companies, it was recognized by American Journal Association as one of the top ten financial media in the world. Weekly On Stocks, based in the securities industry and oriented to the financial and economic fields, is a combination of news coverage, authoritativeness and professionalism. 125 major listed real estate companies were ranked in terms of static financial security, dynamic financial security, operational efficiency, growth potential and scale effect of the listed real estate companies. Landsea ranked 15th among the top 20 listed real estate companies in 2018, and received full marks in terms of three indicators, i.e. dynamic financial security, operational efficiency and growth potential. Static financial security and dynamic financial security reflect the financial security status of real estate enterprises from static and dynamic perspectives respectively; operational efficiency and growth potential reflect the operation condition and strategic execution of real estate enterprises. Finally, scale effect is not only the embodiment of the comprehensive competitive strength of the enterprises, but also affects the financing ability, the ability to acquire projects and the ability to spread risk to a certain extent. These five indicators are of great significance to the future development of enterprises. Therefore, under normal circumstances, these rankings are determined by the comprehensive strength score calculated based on the aggregate weighted score of the five indicators, each assigned a 20% weight. However, in the industry transition period, financial security underlies the survival and development of enterprises. Especially amid rising uncertainty in the future of the real estate industry, dynamic financial security becomes the foundation of sustainable survival and development of enterprises. For this reason, when the dynamic financial security score of an enterprise is below 5 points, the weight of this indicator will be increased to 40%, and the weight of each of the other four indicators will be reduced to 15% accordingly. The static financial security of an enterprise is measured by the short-term risk position and the overall leverage ratio (net debt ratio). Positive short-term risk position indicates that the companys cash in treasury and anticipated payments receivable in the next year are sufficient to support day-to-day operations and cover debts (including on- and off-balance sheet liabilities), while negative short-term risk position indicates that the companys cash in treasury and anticipated payments receivable in the next year are insufficient to cover debts, resulting in short-term funding gap. The "dynamic financial security" indicator consists of three sub-indicators, i.e. "interim risk position", "interest expense ratio" and "term structure gap". Interim risk position, as an aggregate indicator, measures whether the company will face excessively large funding gap and refinancing pressure in the next 2-3 years when being hit by downturn and whether the debt ratio will further rise. Term structure gap, as a structural indicator, measures whether the capital structure of the enterprise (including short-term liabilities, long-term liabilities, and arrangements of trusts, funds, bonds and other financing instruments) is reasonable, that is, whether the debt maturity is too short or the short-term debt ratio is too high relative to the investment recovery cycle of the enterprise. Interest expense ratio, as an early warning indicator, measures the debt refinancing ability of the enterprise under the current efficiency level and financing cost, that is, whether its operating cash is enough to cover interest expense, and whether the model of operation backed by liabilities can continue. With the operating profit margin ((operating profit + financial expenses - investment income – income from changes in fair value)/operating income) as the horizontal axis, and the stock assets turnover rate ((the contract sales amount of the real estate development business + other business income)/total assets at the beginning of the year) as the vertical axis, by identifying the position of the major listed real estate companies in the two-dimensional plan, connecting the enterprises with the highest turnover rate under the same profit margin, one can determine the “efficiency frontier” of the real estate enterprises, i.e. the enterprises with the highest turnover rate in the industry under the same profit margin, or the enterprises with the highest profit margin under the same turnover rate. These enterprises represent the highest efficiency level of domestic real estate companies. With their turnover rate as the boundary, the gap between other real estate companies with identical positioning and the frontier efficiency indicates their efficiency level in the industry. The degree of financial leverage measures the extent to which an enterprise can further increase its debt financing given the current efficiency level and financing cost, and the extent to which an enterprise can accelerate growth by virtue of external debts. Sustainable endogenous growth rate is the endogenous growth rate of an enterprise after eliminating excessive financial leverage. These two indicators collectively reflect the effect of two major factors (efficiency level and capital cost) that determine growth potential on an enterprise, and measure the exogenous and endogenous growth potential respectively. 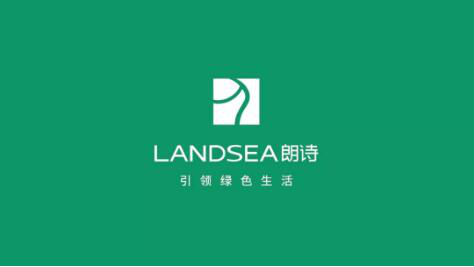 The results show that among the 66 listed real estate companies with annual sales over RMB10 billion in 2017, Landsea Green Group is at the forefront of the industry in terms of the aforesaid dimensions. Table 2 shows the turnover rate, profit margin, return on investment and debt financing cost of the top 20 listed real estate companies on the rankings, as well as the average level of TOP 20 companies compared with that of listed companies. As can be seen from Table 2, the average unleveraged core profit margin of TOP 20 companies (the core profit margin without using financial leverage) was 21.7%, which was 2.7 percentage points higher than the median level of listed real estate companies (19.0%); the average operating profit margin of TOP 20 companies in 2017 reached 19.6% after deduction of the capitalized interest, which was 4.5 percentage points higher than the median level of listed real estate companies (15.1%); as for turnover rate, the average stock assets turnover rate of TOP 20 companies reached 0.71 times, which was 122% higher than the median level of listed real estate companies (0.32 times). As a result, the actual return on invested capital of TOP 20 companies (after capitalization adjustment) in 2017 was 13.4%, which was 4.8 percentage points higher than the median level of listed real estate companies (8.6%); and the average sustainable endogenous growth rate was 25.7%, which was five times the median level (5.1%) of listed real estate companies. In contrast, the average debt financing cost of TOP 20 companies in 2017 was 6.1%, 0.4 percentage points lower than the median level (6.5%) of listed real estate companies. Obviously, TOP 20 companies had a higher return on investment and a lower financing cost than other listed real estate companies, which laid the foundation for efficiency of M&A in the industry. On top of that, as can be seen from Table 3, TOP 20 companies had a lower debt ratio and a smaller funding gap compared to the average level of listed real estate companies. As of December 31, 2017, the average net debt ratio of TOP 20 companies was 62%, which was 15 percentage points lower than the median level of listed real estate companies (77%). In addition, TOP 20 companies had an average short-term capital surplus of 24%, while the listed real estate companies had an overall short-term capital surplus (median) of only 7%; the average medium-term funding gap of TOP 20 companies was equivalent to 6.1% of total assets, while the overall medium-term funding gap of listed real estate companies (median) was up to 19.7%. As a result, TOP 20 companies only need to renew 24% of their debts on average (the minimum renewal rate) without expansion, while the overall minimum renewed rate (median) of real estate listed companies was 58%, that is, the listed real estate company as a whole need to renew 58% of their debts on average without expansion. Correspondingly, the ratio of average interest expense to sales in the same period was only 3.4% for TOP 20 companies, while the ratio of average interest expense to sales (median) listed real estate companies as a whole reached 6.8%. It was clear that the top-ranking real estate companies outperformed the industry average in efficiency as well as financial security, laying a financial foundation for M&A within the industry. In 2017, the sales amount and volume of Chinas real estate market reached new highs, but the interest rate of personal housing loans also began to rebound. Under the combined effect of policy regulation and de-leveraging of financial institutions and other factors, the long-simmering pressure on property price began to bite. In the future, Chinas real estate market will be faced with a high degree of uncertainty, and real estate companies will also be faced with the pressure of transformation. According to the data monitoring of Weekly On Stocks, the M&A sentiment index of the real estate industry in 2017 jumped to 83.1 points from 65.3 points in the previous year. The launching of consolidation initiative in the real estate industry has phased out some enterprises. However, the data also showed that of the listed real estate companies, only 14% had no obvious operation vulnerability, and even fewer had M&A capability, only 12%. Of these enterprises, 40%-50% were concentrated at the bottom of the "pyramid" and would become the target of M&A. Then who will win out in this industry reshuffle? "Scale" is undoubtedly an important indicator. As the data showed, the enterprises with sales above RMB20 billion obviously outperformed the enterprises with sales below RMB20 billion in terms of finance and efficiency; the enterprises with sales up to RMB100 billion had more obvious advantages in finance and efficiency. However, there was no significant difference between the enterprises with sales of RMB20 billion and the enterprises with sales of RMB50 billion, suggesting the figures RMB20 billion and RMB100 billion had become two watersheds for real estate companies in competition. 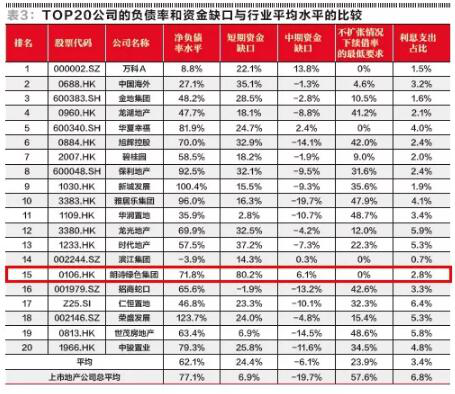 Scale was important, but in these rankings, six of the enterprises with the sales of RMB100 billion failed to enter the TOP 20, and some even ranked between the 40th to the 50th. As a matter of fact, the comprehensive competitive strength of real estate enterprises is determined by six dimensions, including static financial security, dynamic financial security, operational efficiency, sustainable growth potential, scale and strategy space choice. Serious vulnerability in any dimension may cause a fatal blow to the enterprises. Strategy space choice is particularly important in the current highly uncertain market environment. At present, real estate enterprises are mainly faced with strategy choices in two aspects, one is the choice of light and heavy assets, and the other is the choice of diversified business. Statistics show that 40% of listed real estate companies have pursued light asset strategies, including OEM/brand export strategy, fund-based strategy, "small stock trader" strategy and incubator strategy. In the market environment where real estate financial instruments are incomplete, these companies pursuing the light asset strategy have outranked heavy asset companies in terms of the average financial and efficiency performance. As for the diversification strategy, different from the diversification in the past which was manifested as "blind expansion of large enterprises and strategic escape of small enterprises", the diversification in 2017 was largely manifested as the related diversification of large and medium-sized enterprises. As statistics showed, of the listed real estate companies, more than 90% entered the property sector other than the residential area, two-thirds entered new-type property field beyond residential and traditional commercial real estate, such as long-term rental apartments, logistics real estate, and pension real estate, cultural tourism real estate, towns/industry parks, innovative office spaces and other market segments, and about one-third entered the related diversification fields of stock housing, construction technology and finance, etc. However, the lack of REITS has made the diversified development in Chinas real estate market more difficult. Many enterprises are facing the pressure of turnover rate slowdown and rising debt ratio in the process of diversified property expansion. The combination of diversification and light assets may become the way out of the dilemma for real estate companies at the present stage. 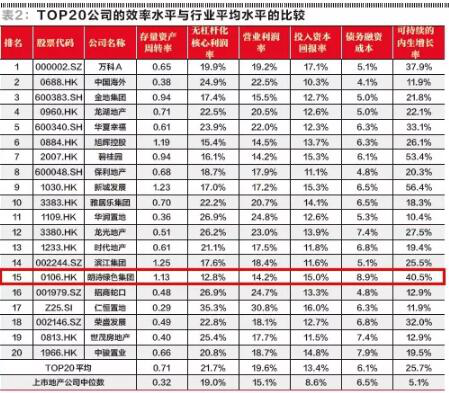 Finally, with the change of strategy space, the rankings of real estate enterprises are also changing dynamically. However, there are several points that are certain. Firstly, the comprehensive competitive strength of the industry depends to a large extent on the vulnerabilities of the enterprises, and the enterprises having no obvious vulnerability only accounted for 14%. Secondly, the industry differentiation was further aggravated. With 40%-50% of the enterprises in the industry concentrated at the bottom of the pyramid, the M&A sentiment index of the real estate industry rose sharply. Thirdly, with the enterprises at the critical moment of strategy choice, the light asset model temporarily prevailed given incomplete real estate financial instruments.